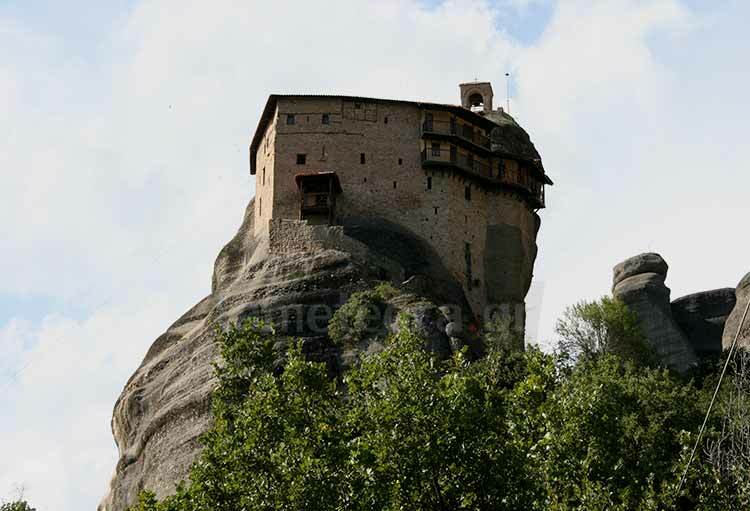 In central Greece and particularly in the North Western part of Thessaly between North East of Chasia and West of Pindos, where the plain of Thessaly ends, rise gigantic rocks, which create a spectacle that is unique worldwide. No reference concerning these rocks exists, neither in mythology nor by some Greek or foreign historians. Historians and geologists started to be interested in the creation of these rocks about 1000 years ago, expressing several theories. The prevailing theory is that one of the German geologist Philipson, who came to Greece in the late 19th century. According to his theory, a large river had its estuary in this area, which for millions of years was covered by a narrow and deep part of the sea .The river waters deposit sediments, stones and, generally, several materials that are transferred from Northern parts of primordial central Europe into the estuary. As a result, deltaic cones are formed by the accumulation of these materials. 25-30 million years ago, after some geological changes had taken place during the centuries, the central part of today’s Europe rose. That’s how the opening of Tempi was created , resulting in the pouring of the waters in today’s Aegean sea as well as the emergence of the Thessaly plain . During the tertiary period, at the time of the alpine orogenies, the solid volumes of the “rocks” were cut off from the mountain chain of Pindos that was created and as the centuries went by, the Plain of Pinios River was formed among them. Over millions of years, these rocks took their present form as a result of the continuous corrosion by the wind and the rain as well as other geological changes. At the cavities, clefts and peaks of the rocks, the people of that place found protection from the raids of several conquerors and of those who passed from the area. Also, several bold hermits and anchorites found shelter at these rocks, seeking mental peace and tranquility coupled with Christian perfection while praying. In the beginning, the hermits were isolated and prayed in small chapels called “prosefhadia” (in Greek means places for praying) not only for their salvation but also for the salvation of all people. Their life was simple and their task painstaking. 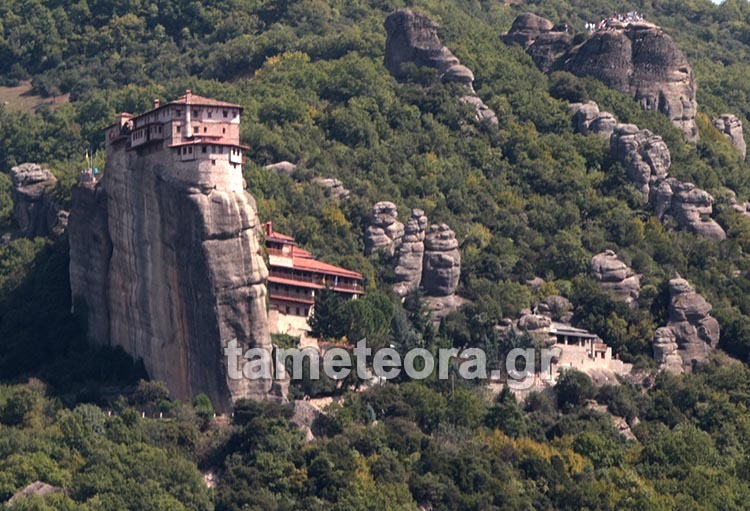 The exact time that the rocks were inhabited is not known, but according to the existing scripts, monasticism appeared when already organized. According to the Byzantinologists the first hermits must have taken refuge in the rocks at the end of the first millennium. According to some information, Barnabas is mentioned as the first hermit around 950-970 AD, who established the cloister of the Holy Spirit followed by the establishment of the cloister of the Transfiguration of Jesus by the monk Andronikos from Crete in the early 1000 AD. Later, around 1150-1160 AD, the Cloister of Stagoi or Doupiani was established. Besides the aforementioned cloisters, others also existed in several cavities around the rock of Doupiani, of the Holy Spirit and of the rock of “Sourloti”. 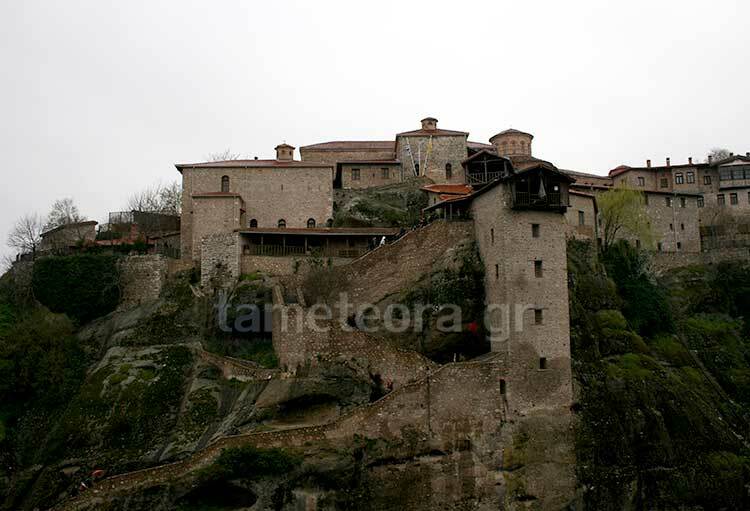 At the beginning of the 12th century, in the area of the Meteora, a small ascetic state was formed having the church of Mother of God as centre of worship. This church formed the “Kyriako” (church or temple) or the “Protato” (the first place) which exists at the north part of the rock of Doupiani until today. The hermits swarmed from their sketes to this small church in order to perform their common worship towards God, discuss the several problems that concerned them and ask for the help of other hermits in order to carry out the hard work. The leading man of the cloister of Doupiani or cloister of Stagoi had the title of the “first” and the one “under the guidance” of the Monastery of the Mother of God of Doupiani. 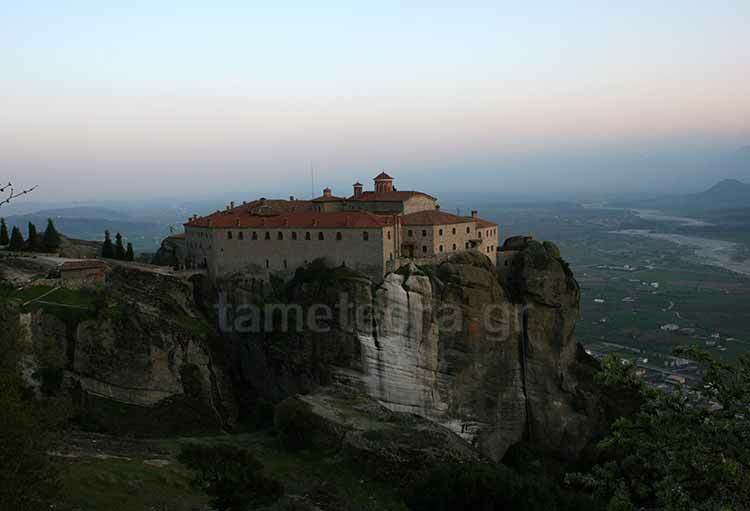 Almost 200 years later, in the middle of the 14th century (1340-1350 AD) the Holy Monastery of the Transfiguration of Jesus on the mount was established by Holy Athanasios, who gave the name Meteoro to the big rock “Wide Stone” and, since then, all the rocks bear this name. 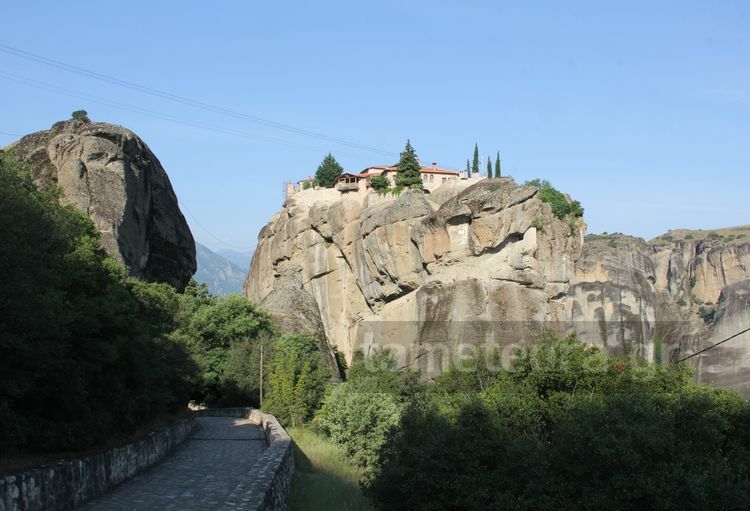 Later on, many Holy Monasteries were established during the14th and 15th century, a time of great prosperity for monasticism in the Meteora. At that time there were 24 monasteries. 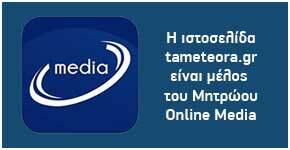 In the middle of the 14th century, monk Nilos, the founder and proprietor of the Holy Monastery of Ascension (the Holy Monastery of Ipapanti-Candle Mass- today) famous for its Frescos, took great action. The first hermits climbed up the rocks using scaffolds that they had propped up to joists which were wedged into holes of the rock. Later, they used rope ladders and net, until the first ladders were carved in the early 20th century. As years went by, many of the flourishing Holy Monasteries were driven to abandonment and destruction (the period of decline after the 17th century) since they had to face several difficulties such as conquerors, thieves’ raids and other factors. Today, the Holy Monastery of the Great Meteoro or (the Transfiguration of Jesus on the mount), the Varlaam Monastery, the Saint Stephen Monastery, the Holy Trinity Monastery, the Saint Nicholas Anapafsas Monastery and the Roussano Monastery have continued the tradition of orthodoxy uninterrupted for over 600 years. Furthermore, with the generous efforts of the monks, of the Bishop Serafim and the contribution of the state, the European Union and several citizens, many of the Holy Monasteries have been maintained and restored. Also restored are: 1) the Saint Nicholas Badovas monastery (dependency of the Holy Trinity monastery) and 2) of Ipapanti-Candle Mass-(dependency of the monastery of the Transfiguration or Great Meteoro). His successor and second owner of the Holy Monastery was the monk Holy Ioasaf, former “king” Ouresis John, son of the Serbian-Greek “king”, who resided in Trikala, Simeon Ouresis Paleologos. At the sanctum of the catholic, there are important frescos of the Macedonian school and the remarkable frescos of the main church and the narthex are believed to have been created by Georgie, student of Theophanous the Cretan. The most important buildings are the Centre (kitchen), the Old People’s home, the “trapeza”(dining hall) and others. At the Holy Monastery of the Great Meteoro, there is a remarkable rich collection of manuscripts, icons and holy heirlooms. It is opposite the Great Meteoro. It was founded by the hermit Varlaam in the middle of 14th century. Later, it was renovated by the brothers Theophanis and Nektarios Apsaras from Ioannina. The catholic of the Holy Monastery honours All Saints and was built by the monks and brothers Theophanis and Nektarios in 1541-1544.The frescos of the catholic were mainly created by Fragos Katelanos from Thebes. There is also the chapel of the Three Hierarchs built upon the first small church that the hermit Varlaam built. Important constructions are the old “trapeza”(dining hall), the Centre (kitchen) and the Old People’s Home (hospital).Moreover, at the holy monastery, there is a remarkably rich collection of manuscripts, icons and sacred heir-looms (see here). At first was male, but since 1961 there has been a sisterhood. Owners are Holy Anthony, in the early and mid 15th century and Holy Philotheos, who, in the middle of the 16th century, rebuilt the church of Saint Stephen.In the 16th century, the first frescos of the church were also created. Several years later in 1798, under the Bishop of Stagoi Paisios from Klinobo of Kalambaka and of the abbot Amvrosios, the present catholic was built in the honour of Saint Charalambos, whose blessed skull is kept there as the most sacred and miraculous heirloom. The frescos at the catholic were created by Vlasis Tsotsonis, perhaps the most important modern hagiographer. At the Holy Convent of Saint Stephen, there is a remarkable rich collection of manuscripts, icons and sacred heirlooms in the old “trapeza” (dining hall) that has been turned into a museum. 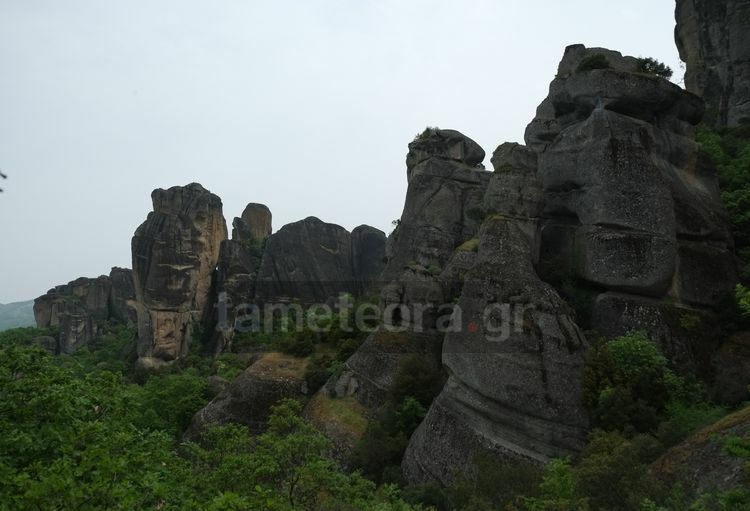 It is placed at one of the most impressive rocks of the Meteora. Since 1362, it has been an organised monastery, and the catholic was built in 1456-1476. The present frescos were created by the brothers Anthony, a priest, and Nicolas in 1741. At the narthex there have been frescos since 1692. At the Holy Convent is the chapel of Holy Baptist, inside a carved rock with important frescos dating back to 1682. The manuscripts of the Holy Monastery are kept in the sacristy of the Holy Monastery of Saint Stephen. At first it was a male Monastery, while now it is a female one. The first owner/owners built the Monastery in the 14th-15th century. It took its present form in the early 16th century, by the monks and brothers Ioasaf and Maxim from Ioannina. The catholic is devoted to the Transfiguration of Jesus. Also, the memory of Saint Barbara is honoured (4th December). The frescos are remarkable, and were created by an unknown hagiographer influenced by the Cretan school under the monk Arsenios, (perhaps by Georgie, student of Theophanis the Cretan). 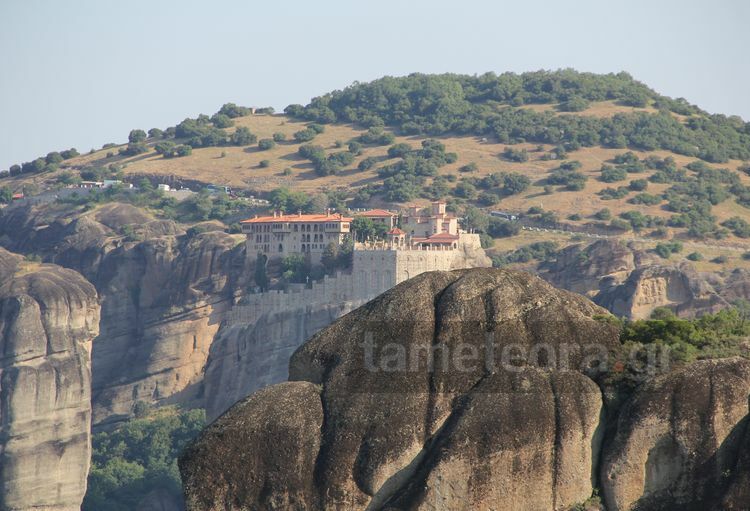 It is the first Monastery (on our left) while going up to the Holy Meteora. It must have been founded around the beginning or the middle of the 14th century. The catholic was made under the Metropolitan of Larisa Saint Dionysus the Merciful and under the abbot of Stagoi, Monk Nikanoras. In 1527, the completion of the hagiography of the Catholic was achieved by Theophanis the Cretan, who is one of the most important hagiographers of Orthodoxy. On the frescos we can see the great perfection in the designing of the figures and the excellent chromatic reproduction. Furthermore, in the Holy Monastery there is the chapel of Saint Anthony, where remains of the frescos of 14th century still exist. The few manuscripts of the Holy Monastery are kept in the sacristy of the Holy Convent of Saint Stephen.